Do you have a problem with too many toys? (if you don't, continue reading then, go help a friend who is disorganized, they will appreciate it). Where do your toys come from? In general, toys in the house have been a gift from someone or something that we have bought. Consequently, we love all of them. Sure there are some that we use more than others or are a particular favorite, but each toy has a story. If each toy is so great the natural answers seems to be that we should keep all of them! However by saying yes to all the toys a natural hurricane seems to ensue... Instead of having a bunch of wonderful toys there is suddenly a heap of colorful things. This is where the problem arises, if I get rid of the toys, I'm a bad mom for depriving my child. If I keep them all he can't possibly enjoy them in the mess. The golden solution: I've decided to divide my toys. I was ruthless and put away the ones that he is truly too old for to save for the next baby. At the same time I put away the toys that were slightly above his level, so I'm not sick of them by the time he grows into them. 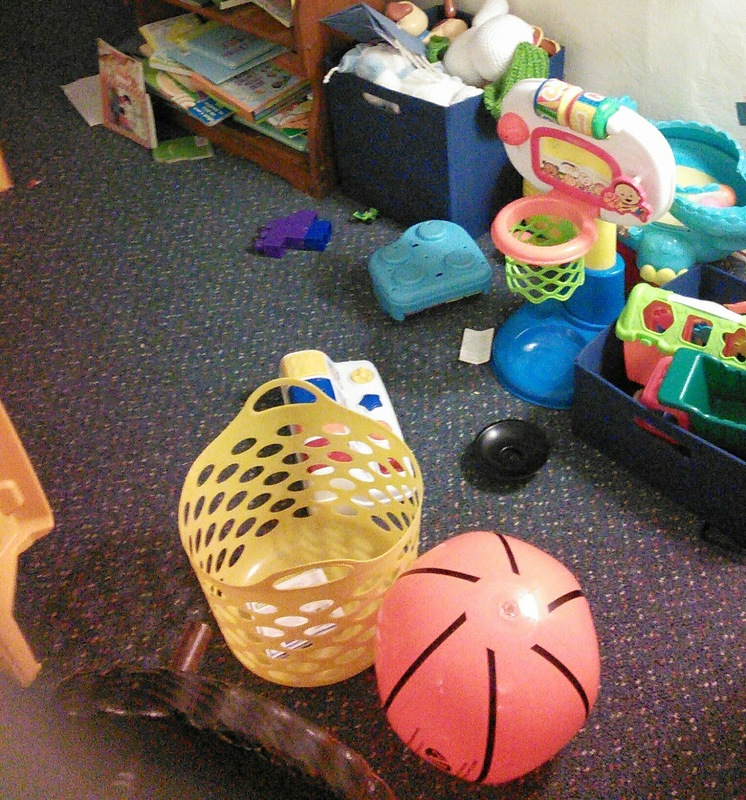 Then I split the toys up keeping them in different rooms so there are only one or two options at a given time. Lastly, I put a few toys away that I will rotate in every few weeks to give it is a nice change up. Although it was excruciating putting away so many toys for seemingly good... we actually enjoyed playing with our cars tonight, there was plenty of room and they were an obvious option given the open space. 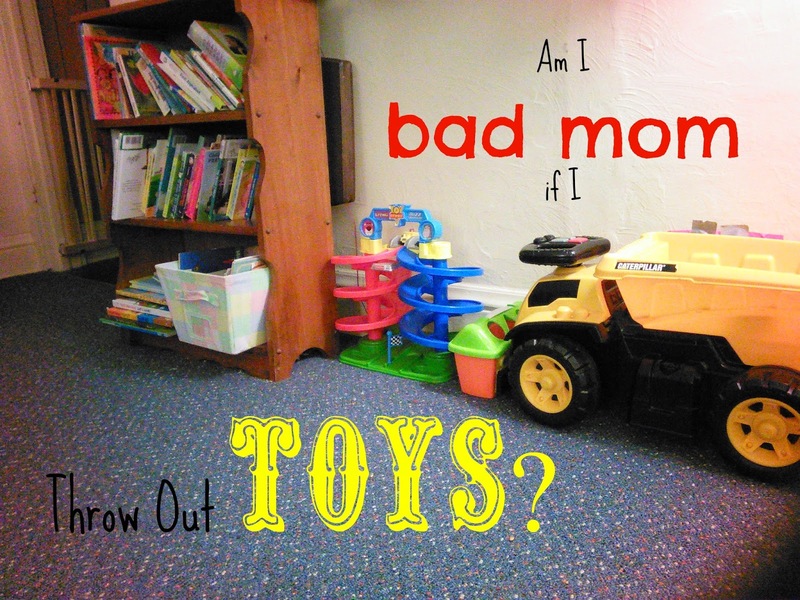 Do you feel bad about getting rid of toys? I throw tons of toys in large unlabeled boxes in the garage- sometimes as soon as they get them as gifts if they are impossible to set up, battery hogs, or otherwise not very good toys. Consignment sales roll around every 6 months, at which point I know the toys that have been missed and can pull a couple of those back out as a surprise and sell the rest to afford what the children need.